Rory Staunton was a healthy 12-year old boy, known for his smile and his work standing up for others. A simple fall during basketball practice caused an abrasion on his arm, which is the suspected beginning of a cascade of events that led to his death from sepsis. Rory was seen by both his pediatrician and a local emergency department, and was sent home with a diagnosis of a viral illness. He returned the next day in septic shock and died shortly thereafter. A review of the medical records revealed that there were errors that occurred during his emergency department visit. These errors were the focus of a controversial article in the New York Times, that included both details of the case, as well as the name of the physician that provided care. A backlash from the medical community occurred leading to multiple physician-written op-ed pieces, as well as over 1600 comments on the online version of the article. This talk will attempt to move away from the controversy of the actual article and instead focus on how these common errors could have occurred during any busy shift and what we can do to prevent them in the future. 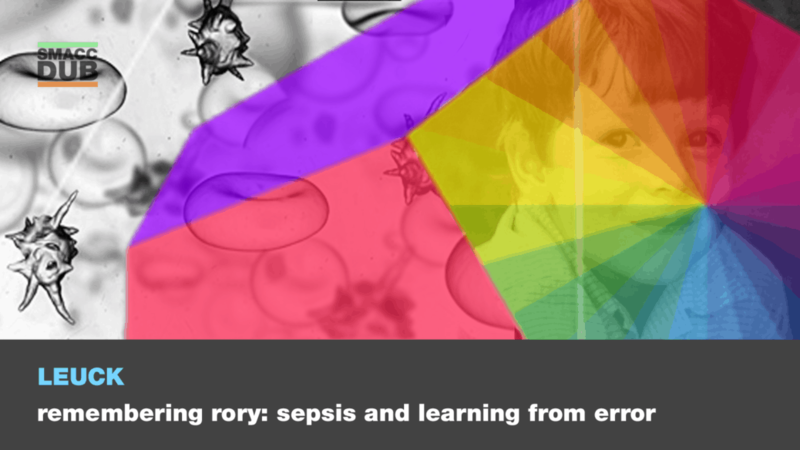 My intention in giving this talk is to continue to use this case to raise awareness of both pediatric sepsis and common medical error and hopefully lead to fewer outcomes like Rory’s. Hospital Handover of Major Trauma - Make them ListenLife after sepsis - is it worth living?